These journeys offer three different ways to work with Mark in a smaller group setting, each intended to help clear your path and deepen your heart. Each of these circles will explore the practice of being human as an applied art of spirit while unfolding the dynamics we all encounter in our struggles to enliven and inhabit a full life. Each group will be limited to thirty participants. Each group will meet at Peoples Church, 1758 10th St N, Kalamazoo, MI, 49009. Please make your reservations early as space is limited. Perhaps we migrate between love and suffering. Oh praise the soul’s migration. I fall. I get up. I run from you. I look for you. I am again in love with the world. 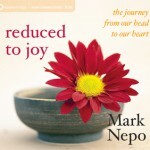 This weekend retreat is based on favorite teaching sessions drawn from Mark’s twenty-one books, intended to explore how deepening is the soul’s way of coming alive in the world. Just as all healthy plants and trees root and shoot into full growth and blossom, so too the human soul in the life that carries it on Earth. Under all the veils of circumstance, there is a radiance that informs all life. The gift of deepening is how we meet and drink from that radiance. In this retreat, Mark will open a heart space through which participants can better understand their own relationship to the gift of deepening and the radiance in all things. Through poetry, stories, and metaphors, Mark will unfold the archetypal thresholds that lead us to deepening and radiance. Through reflection, journaling, and dialogue, each participant will have the chance to personalize their own path to being a spirit in the world. All to encourage each other to engage in our own conversation with the Universe. All to uncover our own direct experience of the radiance that informs all life. Through our messy human struggle, we learn, over time, to inhabit our kinships on Earth. Once under our differences, we can be who we are everywhere and clear a path to what matters. Through each trial and blessing we unfold within a second womb, meant to incubate our better angel. This second womb is an experiential one that, through the labor of a lifetime, births the soul on Earth. This six-day retreat delves into that process of unfolding in its mystery, difficulty, and inevitability. 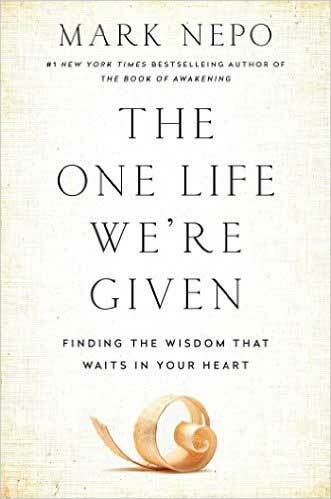 During our time together, we will explore the archetypal passages we all face such as: enduring our walk in the world, discovering our true inheritance, widening our circle, living in the open, and helping each other stay awake. By gathering for six days, there is time to go below the noise of the world and the noise of our minds, time to let what lives within out, and to let our connections with each other and the world deepen. Through meditation, journaling, deep listening, storytelling, poetry, metaphor, and dialogue, we will try to surface the threads of resilience that keep us tender and strong. FRI. 6:00-9:00 P.M., SAT. 9:30-5:30 P.M., SUN. 1:00-4:00 P.M.
Those who wake are the students. Those who stay awake are the teachers. 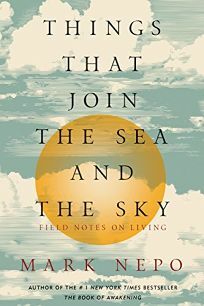 Mark will offer a yearlong journey over four weekends, weaving themes from several of his books including, Drinking from the River of Light, More Together Than Alone, Things That Join the Sea and the Sky, The One Life We’re Given, and The Book of Awakening. This journey offers a chance to work with Mark in a smaller group setting as a way to deepen your own path over a year of your life. The aim will be to engender a live and safe space in which we can compare notes on what it means to be alive. The group will explore the lifelong process of listening, reflecting, and expressing, and on how bearing witness to the truth of living reveals the mysteries of life. On a personal level, staying awake is not something we can manipulate, but only live into. Each of us is born instinctively awake and yet it takes courage to stay awake, to remember that all we encounter is real. Along the way, we are constantly being shaped by life into finer instruments of care and expression. The deeper we go, the more attuned we become, and the more we join with everything around us. This workshop will help you to inhabit a personal form of expression, by which you can strengthen your connections and find your way. From inside our aliveness, it seems the point of experience is not to escape life but to live it. Mysteriously, truth is a secret hidden in the days until opened by our experience. For at the center of our experience, each of us holds an aspect of wisdom waiting to be discovered, and everything we meet, if faced and held, reveals a part of that wisdom to us. Each of us has a language of truth in our heart that only living our life can give voice to. And being a spirit in the world centers on how we meet the life of experience that no one can escape. In this, life is the master and we remain the student. CANCELLATION POLICY: NO REFUND WITHIN 90 DAYS OF WHEN THE COURSE BEGINS, AND HALF REFUND IF FOUR MONTHS BEFORE THE COURSE BEGINS. CLOSEST AIRPORTS: KALAMAZOO (15 minutes away) and GRAND RAPIDS (45 minutes away). The course does not include lodging or food. Here’s some information about local places to stay and eat. Saffron, Indian Restaurant,1710 W Main St, Kalamazoo, MI 49006,(269) 381-9898, comGood Indian food. Lunch buffet. Nina’s Café. Breakfast and lunch. American fare. Diner atmosphere. Food Dance Café, 401 East Michigan Avenue & Pitcher, 269-382-1888,http://fooddance.net/. Fresh, local food. On-sight butcher. One of our best. Theo and Stacy’s. Greek diner. Studio grill. Open for breakfast and lunch. Hardings Supermarket, 5161 West Main, Kalamazoo, MI, (269) 381-0244. Good for organic veges and other grocery needs. Meijer’s Supermarket. This is on the corner of West Main (which is M43) and 9thGrocery store, produce, pharmacy, and like Walmart, but more upscale ( a little) and was born in west Michigan. You know, aspirin, tires, clothes, pots and pans; that sort of thing. We like Food Dance, Cosmo’s, Oakwood Bistro, Epic Bistro, Tap House, Martell’s (nice view of a small pond), Latitude 42 to name a few. Kalamazoo is a big craft, micro-brew, etc. beer town. So many we can’t keep up anymore, but the most famous and oldest is Bell’s Beer. See this website, and pay attention to the Kalamazoo sites. http://www.beeradvocate.com/place/city/43/.